You think an invoice is just a little bill. Wrong! Invoicing is so important, especially for small businesses, that, done badly, it could end up being the reason why people pay you late. So it would be superfluous to say that invoicing affects your cash flow. Billing is more than just catching typos and ensuring the right bill goes to the right person. An itsy-bitsy error could mean the difference between getting paid and miscommunication, soured relationships and client dissatisfaction. To say nothing of the delayed payment. Here are a few commonly overlooked (and subsequently disastrously resulting) things to watch out for when invoicing. Some are not that disastrous but you will learn how you are missing opportunities when you flout them. You didn’t add your logo. You probably didn’t think of it or you don’t have one. Either ways you are missing a great branding opportunity. You spend so much time on your graphics, website design and packaging but forget this impactful way of staying consistent. Your last interaction with a client should reflect as much branding and attention to detail as proof of the care you put into every part of the business. Besides this is where you need you close your sale so remind them of your excellent standard. Take it a step further and make the whole invoice inviting instead of daunting. Keep the design light and the details precise. You forgot to add the due date. Or you very sweetly say net 15 or net 60. Nobody has the time to count 60 days. 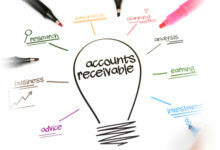 Do you know how many invoices Accounts is processing every day?! But if you put a clear date – Saturday, 17th June 2017 – they can mark that in their calendar easily. You’re actually getting paid. Consider communicating the amount and date a little clearly. Take it a step further and type it in a place that can’t be hard to find at first glance. 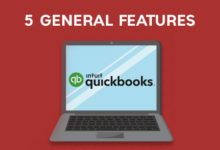 Your invoicing terms are too tough or too slack. Couple of things here. The due dates you demand must be reasonable. Too tight and clients can’t pay you in time, too lenient and clients either take you for granted or, worse, forget they had to pay. If it ought to be net 30, don’t save the relationship with net 60, nor break the contact with net 15. Secondly, offer different modes of payment, like cheques, bank transfer, or even services like PayPal. Make it easy for the client to pay you. Paper trails are tedious and not eco-friendly. When you make a digital invoice, first and foremost you can put a big red button on the invoice itself saying ‘Pay Now’ to prompt your client to pay right away. It is easy to track and is instant, so you don’t waste that mail delivery time. Moreover, no one can pull the check is in the mail stunt on you because you will have an e-mail proof. You can work tiered invoicing into your invoicing procedure, without the hassle of manually posting the invoice or bearing additional costs for postage. With cloud accounting you can automatically upload the invoice into your software and access the details anywhere. You sent the client a surprise invoice. Nah-ah. That kind of negativity equals having your mother in law surprise visit you on your birthday. A surprise invoice is a charge the client didn’t expect. Perhaps they requested additional work. Or they current work has probably gotten prolonged. Notify them first ahead of time, clearly outline the charges and explain the billing. Transparency goes a long way. I say with confidence that collections is the least likeable chore in running a business. Sometimes it’s worse than doing tax. But the dreaded thing is a necessity because it affects cash flow. Even when you have been absolutely remarkable and timely with your invoice, time and again you will encounter the irritating straggler. Instead of damaging the relationship straightaway, have a procedure in place for follow-ups. Employ friendly telephonic reminders before the due date, bait them with early payment discounts, penalise them with late payment fees, or (worst case scenario) shoot out a dunning letter. Of course, use discretion. Not all clients need severe action to get a move on with it. Sometimes for genuine reasons the payment may not have been made. Remember, good invoicing means an unclogged revenue flow. Now you know what to do. So happy invoicing the healthy way!